When we feel rejected, our self-worth is dealt a heavy blow. We lose a sense of security, a sense of belonging, and perhaps a sense that we matter. At its most extreme, the pain from social rejection can lead to suicide, according to the interpersonal theory of suicide. Although we know social rejection is painful, neuropsychological research has revealed how social rejection affects the same regions of the brain as physical pain, and therefore respond similarly to the affect of painkillers. These findings are particularly relevant given the recent opioid epidemic. Beyond over-prescription and their highly addictive properties, this drug of choice might also tell us something about the health of our social context. Beyond coping with physical pain, individuals who feel rejected may be self-medicating with opioids to cope with social pain. We can see this phenomenon in studies on populations with a heightened risk of opiate use: groups with low income, low education, those lacking permanent housing, those who are unmarried, recently released prison inmates, veterans, and LGBT groups. Once someone begins experiencing an opiate addiction, they may then find themselves feeling even further rejected, especially if it results in heightened poverty. In turn, this perpetuates the downward spiral of self-medicating to further reduce the social pain, in addition to the physical pain of withdrawal. Promoting social health means combating barriers to social integration. These barriers include stigma, prejudice, economic inequality, and lack of social programs/support for individuals undergoing major life transitions, as seen among veterans in transition to civilian life. When treating and preventing opiate addiction, we need to be mindful of the social dimension of the issue, in addition to the biological and psychological. You are welcome. In July I went to a Soldier Ride with Wounded Warrior Project and met this dude name Charlie he happened to read everything you published. He is one of the organizers for the Soldier Ride. He was happy I knew who you are. Wow! What a compliment. Thanks for sharing! How did you find the Soldier Ride? 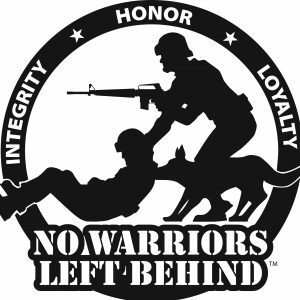 I am registered with Wounded Warrior Project. They do a lot stuff for the warriors. May be you can contact them I think they could use some of your insides.